We'll depart Toronto early in the morning traveling to Kingston， which was originally established as a fort back in 1673. We'll see a historic Canadian locomotive， government buildings and pass by the Royal Military College， the Queen’s University and the residence of the first Prime Minister of Canada. We'll then proceed to Ottawa. 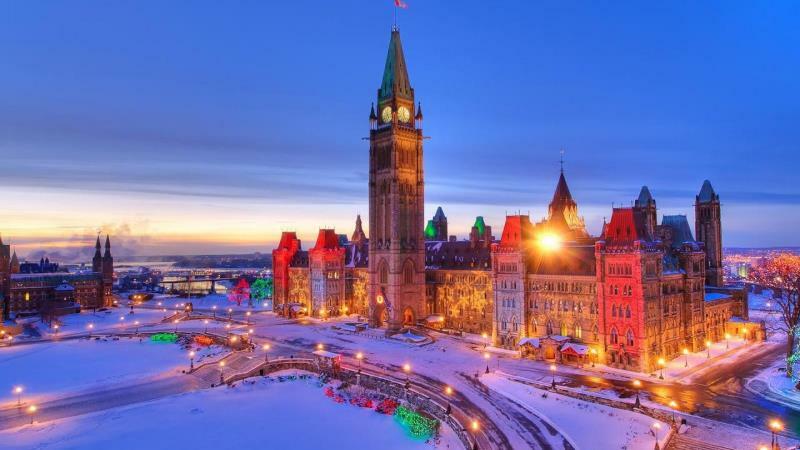 We will visit Parliament Hill (Exterior)， Ottawa River， Rideau Canal and the Canadian Museum of Civilization (optional， admission not included). After that， exclusive arrangement to take the Ottawa River Cruise (optional， admission not included) that offers a spectacular view of the city and allows you to see the river as it was used long ago: as a highway to transport resources. You will also see the natural beauty of the region. Canadian War Museum instead>. After that， we will passing by the Sussex Drive where a number of embassies are located as well as the Canadian Prime Minister's home and Rideau Hall. During the evening， we will arrive in Montreal and you can explore the city's exciting nightlife. Today， we will start our day in Montreal， you'll have the option to visit Saint Joseph's Oratory of Mount Royal (Donation CAD$5/ person) and Notre Dame Basilica (Donation CAD $6 /person)， [Will not be allowed to visit if there are any large-scale events/ in the midst of a Sunday mass] Afterwards， we will arrive at the Olympic Park in Montreal and you may take an optional tour there to visit Montreal tower (optional， admission not included) We'll then travel to the Olympic Stadium (optional， admission not included)， a multi-purpose stadium in Canada， located at Olympic Park of Montreal. 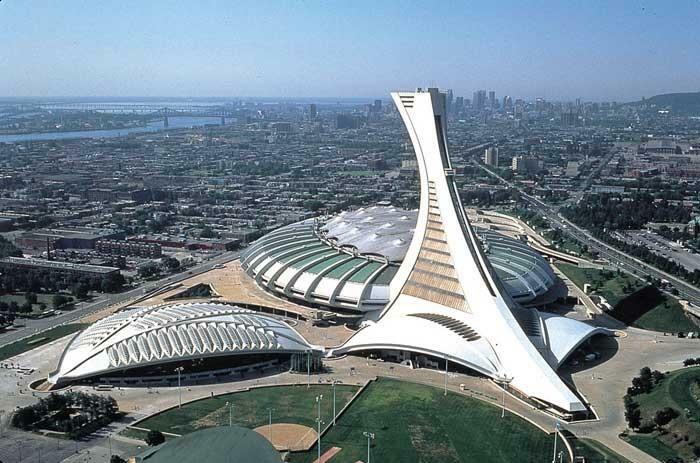 Built in the mid-1970s as the main venue for the 1976 Summer Olympics， it is nicknamed "The Big O"， a reference to both its name and to the doughnut-shape of the permanent component of the stadium's roof. Montreal Botanical Garden> After lunch， we'll head to another French-speaking city - Quebec. Rich in French culture and history， Quebec City is known for its antique shops where treasures can be found around every corner. First， visit the Quebec tower (optional， admission not included) to view city skyline. 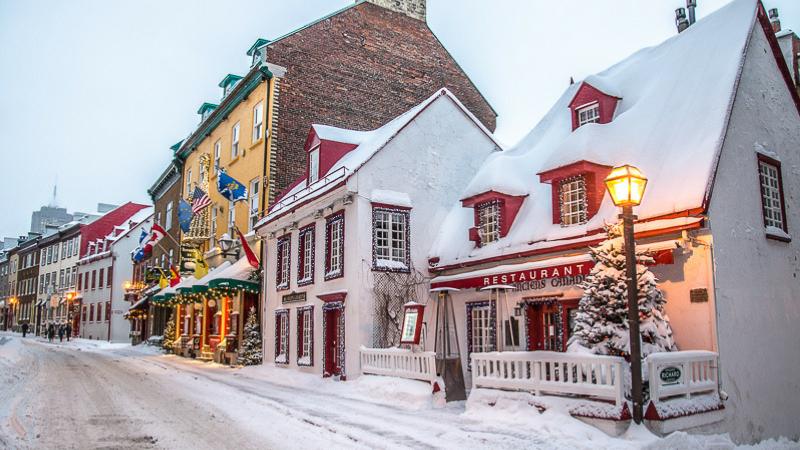 Afterward will explore Old Quebec City， you can also have a nice， delicious French dinner (optional， admission not included) in the romantic city. 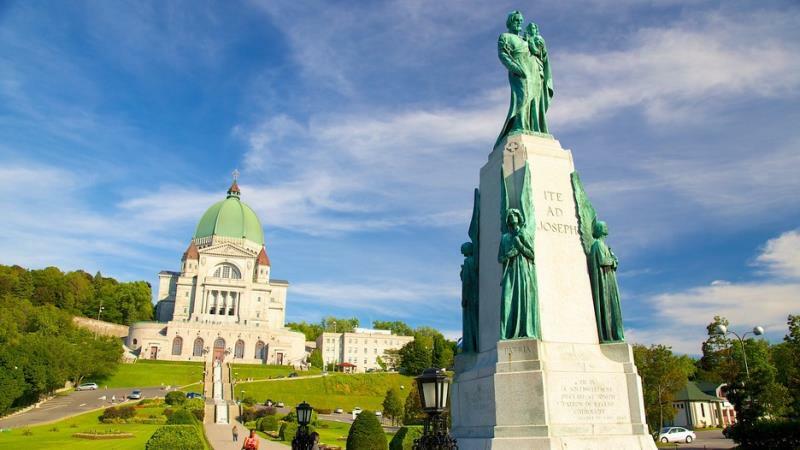 Today， we will start our day in Montreal， you'll have the option to visit Saint Joseph's Oratory of Mount Royal (Donation CAD$5/ person) and Notre Dame Basilica (Donation CAD$6 /person [Will not be allowed to visit if there are any large-scale events/ in the midst of a Sunday mass] After lunch， we will visit Quebec Ice Hotel (optional， admission not included) in the afternoon. 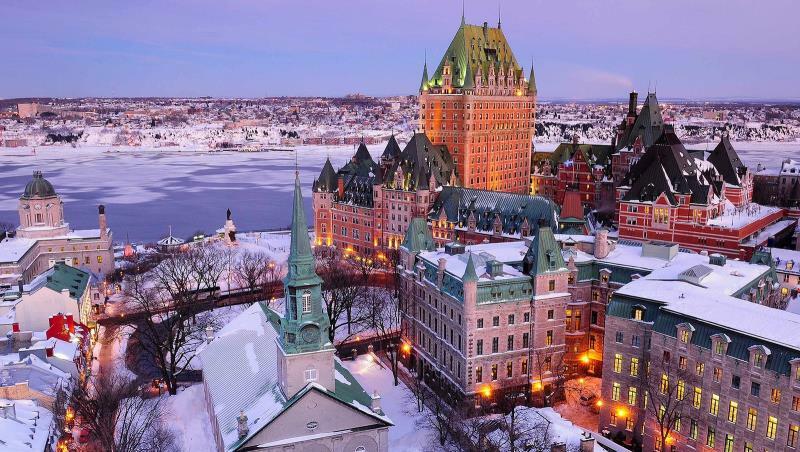 (If Ice Hotel is closed， we will change our itinerary to Montreal Tower instead) Later， we will board the 31st Floor of the City's tallest Mary Tower Observation deck (optional， admission not included) to watch the city of Quebec. We’ll head to another French-speaking city - Quebec. Rich in French culture and history， Quebec City is known for its antique shops where treasures can be found around every corner. You can also have a nice， delicious French dinner (optional， admission not included) in the romantic city. We'll travel to Thousand Islands today. You'll have the chance to take an optional 1000 Island cruise (optional， admission not included) to see the historic Bold Castle on Heart Island. (The cruise is only available during the summer). Afterwards， we'll return to Toronto ending our fantastic Canada East 3-Day Tour. In the morning， you can choose to join another optional tour: Dog Sledding (Price varies depending on location.) 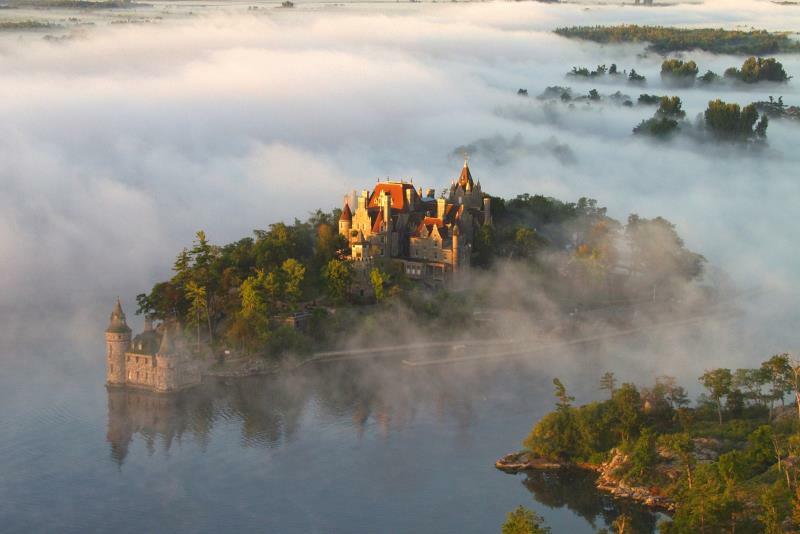 Then， depart Quebec in the early morning to Thousand Islands and take the optional tour of Thousand Islands Helicopter Ride (admission not included). Afterwards， we'll return to Toronto ending our fantastic Canada East 3-Day Tour. If you would like to join the optional activities， please pay the fee in cash to the tour guide. You cannot buy/use the tickets on your own or use City Passes. The tour guide will arrange the tickets for the group. Choosing at least four attractions from below during the tour are mandatory， or a CAD$45/per person surcharge will apply. Each customer must choose at least 4 attractions during the tour (Day 1 - Day 3)， otherwise， CAD$45/person will be applied. Personal room fees such as laundry or valet services， telephone calls， or alcoholic beverages/mini bar items， unless they are otherwise specified. All meals and drinks during the trip， however， the tour guide will arrange it for you. Seating Arrangement: To be fair， the tour guide is responsible for the daily tourist car seating arrangements， the guest should be arranged according to the table.